Can certain diets actually prevent acne? Almost everyone in the world can agree that acne is awful, assuming that everyone else shares the same view as me. I’ve tried acne creams and washes, but both of these options battle acne once it is already there. I’d rather stop the acne before it gets on my face, rather than dealing with it once it already there. This made me wonder, is there a way to regulate acne before it even exists? I’ve always heard that chocolate and candy create acne, but I’ve never known if either of these actually have any effect on my body’s production of acne. After researching the topic, I found out that the relationship between diet and acne is still somewhat unclear, but the scientists and researchers of today are leaning towards diet and acne being linked. The “myth” that diet and acne is connected actually has research and studies to back it up. This did not shock me at all. In fact, I kind of assumed that this would be the case before I conducted any research at all. Researchers from the University of Miami conducted a “double-blind, placebo-conducted” study regarding the relationship between diet and acne. The null hypothesis of the study is that diets do not actually have an effect on acne. Therefore, the alternative hypothesis is that diet does in fact have an effect on the production of acne. The study was conducted on males, ages 18 to 35, with a history of acne. 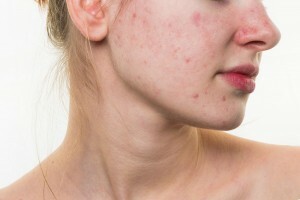 Women were not included in the experiment, because there is a chance that an increase in acne growth in women could be due to hormones brought about during menstruation. Women were only excluded from the study so that the results were less likely to be because of a third confounding variable. This was one of the many attempts to remove possible third variables from the experiment. The study took place in a single location, on fourteen different individuals. The men, not knowing what they received, swallowed either cocoa powder in a capsule, gelatin powder in a capsule, or a mixture of the two. 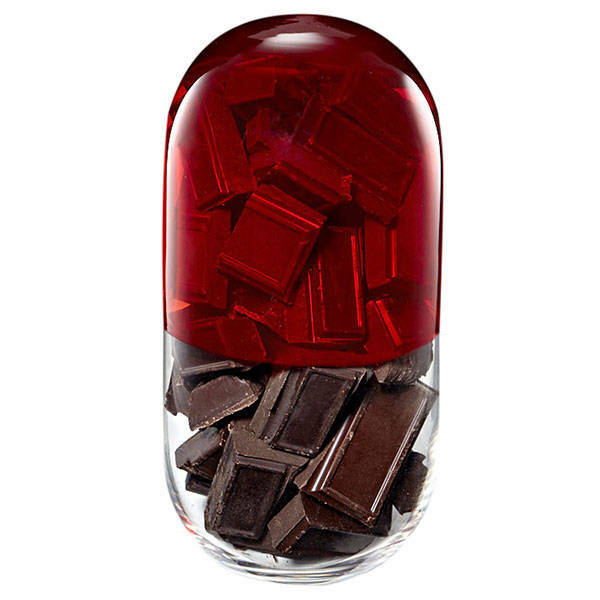 The men who took the capsules filled with cocoa powder had an increase in their production of acne. Therefore, the study agrees with the alternative hypothesis, that diet does in fact have an effect on acne. The report on this study was published on the website of the US National Library of Medicine and the National Institutes of Health. One article, which helped me come to the conclusion that acne and diet correlate, discusses the history on the views of the relationship between acne and diet. It starts off with a quote by Hippocrates. The quote essentially is aimed at all individuals, telling them to “let their food be their medicine.” This quote is the basis on which a different article stands on. This article only discusses what individuals believe causes their acne, providing no scientific evidence to back up any relationship, but the consensus of the individuals is that there is a link between diet and acne. This study looks at how a diet containing a “low glycemic load” would improve the condition of acne in patients. Glycemic load is the measurement of the impact certain foods have on the body and its blood glucose level. This study was a randomized control trial; the objective of the study was to find a decrease in the number and the severity of the acne lesions. Here, the null hypothesis is that a low glycemic load diet will have no effect on the severity of the patients’ acne. The alternative hypothesis would be that the low glycemic load diet has a positive effect on the severity of the patients’ acne. These hypotheses are very similar to the hypotheses promulgated by the researchers at the University of Miami, except this experiment would decrease the severity of acne (instead of increasing with the cocoa pills). In this study, performed and documented by Roby N. Smith, 43 men, ages 15-25, were split into two groups: the control group and the group following the low glycemic load diet. The study concluded that the low glycemic load diet improved the condition of the acne, whereas the condition of the acne in the control group remained the same. Therefore, the alternative hypothesis seems to be correct. After collecting all the information from the studies and articles, I have come to the conclusion that diet does effect acne. Staying away from chocolates, sugars, and fats would decrease the potential severity of acne. Sticking to a diet that is low in glycemic load would actually help lessen the acne that is currently on the individual. Going off of Lauren’s comment, my question is if there has been research into different health options and which is best for acne prevention. Your blog about acne I heard a lot of a couple of years ago and I believe that if you put crap into your body your going to get crap out and your body isn’t going to be flawless if all your eating is chips and chocolate. So I 100% agree with what you said and the facts your presented. I agree with this, when I was younger I had terrible acne until I made a change in my diet. i knew nothing about the science of it so your blog post helped me to better understand why it helped. I have a friend that spent our tenth grade year spending a month each on different types of diets. Gluten free, dairy free, sugar free, vegetarian, vegan, she tried it all. Her goal was to see how each affected her acne and digestive system. She found that gluten free had the best results for both! Her face was clearer and she never had tummy aches. For anyone looking to kill two birds with one stone my friends experience and this article both can promote going without gluten.